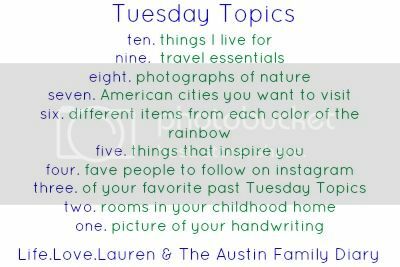 Today I’m sharing a picture of my handwriting. On the left side I wrote down some outfit ideas I took off of pinterest. Towards the bottom there is a list of things I want to buy. On the right side is my list of ideas for my 31 Days series. The crossed out part is a knitting pattern that I decided not to do, and next to that is another knitting pattern. 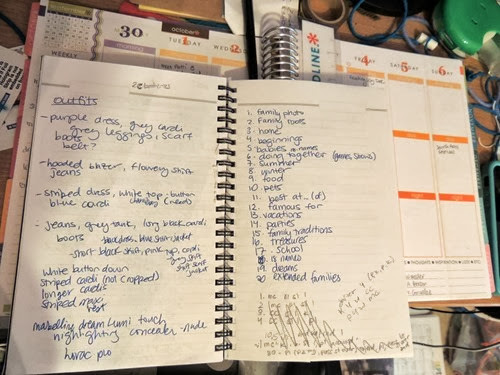 Under the notebook you can see my new life planner! Blurb continues to wow us each year with how easy they make it to create your own high quality custom book. 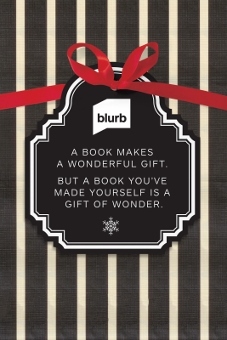 Use Blurb’s 2013 Gift Guide to find inspiration! I love the ABC children’s book on page 6 and the cookbooks on page 7. The Gift Guide is also an instruction guide for how to make a beautiful Blurb book gift for anyone in your life. Get a head start on your Holiday gifts by creating your own Blurb book and save 20% through 10/7 with code EARLYBIRD20.